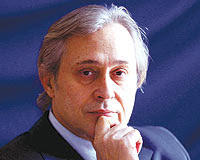 Ali Bayramoğlu is a writer and political commentator. Since 1994, he has contributed as a columnist for a variety of newspapers. He is currently a columnist for Al-Monitor. He is a member of the former Wise Persons Committee in Turkey, established by then-Prime Minister Erdoğan.